I was never 100% happy with our baby bath when Billy was a newborn. It was a standard bath from Argos and it always seemed too big which meant that it wasn’t the easiest to fill and empty. We picked up a foam support and it did the job. I remember storing it in the actual bath tub because it just took up too much space everywhere else. I wish I had known about the Shnuggle Baby Bath. This gorgeous product has been designed and created by Irish company Shnuggle. It is a light-weight compact baby bath that makes the whole experience of bathing your baby stress-free. It contains a foam backrest for your baby’s comfort, a “bum bump” for support and rubber feet for grip. I thought it sounded like a brilliant product but unfortunately Billy was nineteen months when I was given the opportunity to try it out. I was delighted to be able to pass it on to a very good friend of mine who had recently had a scary bath-time experience with her four month old. 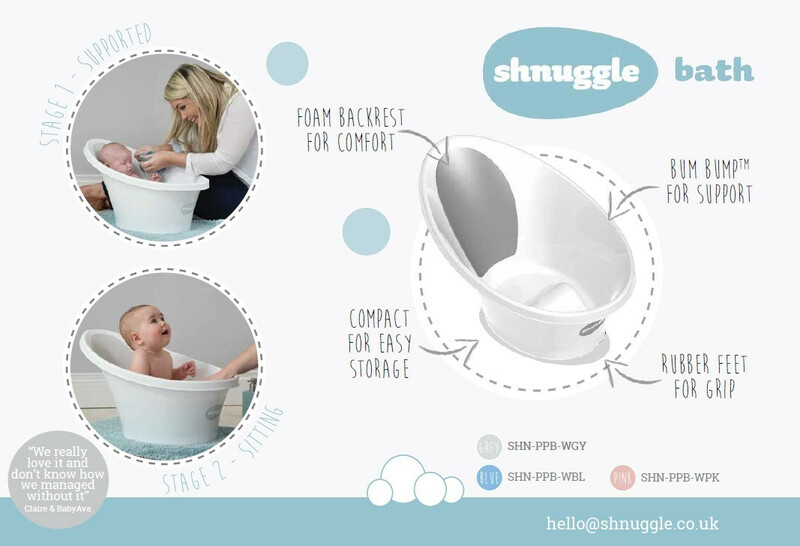 She was searching for the safest and most convenient bath-time solution for her third baby and was delighted to give the Shnuggle Baby Bath a go. It has literally made the world of difference for her entire family. With having three children she has had every baby bath, cushion and bath-seat on the market and none of them have rated as well as the Shnuggle Baby Bath. She spoke about the fact that her back was always broken “trying to hold a slippy baby with one hand while washing with the other”. Her favourite elements were the fact that it really is non-slip and her baby loves the sense of independence sitting up playing with his bath toys. Another huge plus for her was that she can now let her toddler daughters get involved too. The baby is well supported with the “bum bump” leaving her hands free to wash him. In her own words it is “honestly one of the best baby products I have tried. I wish I had it when the girls were babies as it would have saved a lot of hassle”. Seriously, would you look at that little face? 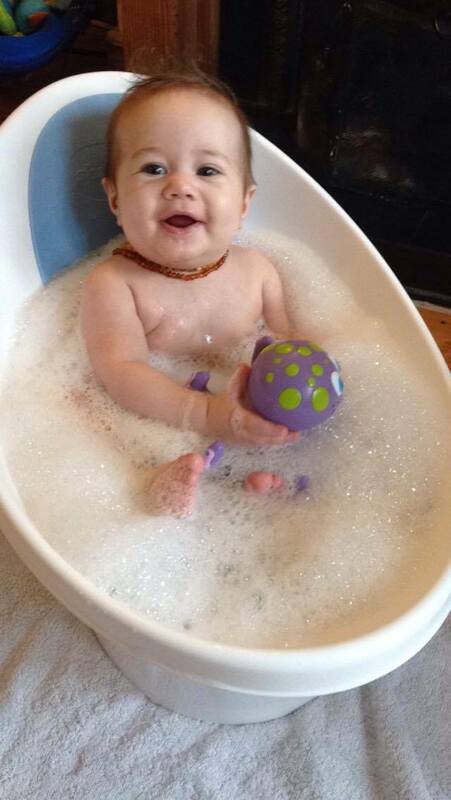 A very happy baby loving bath-time. A big thumbs up from us all for this fabulous baby product. The Shnuggle Baby Bath is available to buy at Bella Baby and Sweet Little Things. It is available in three different colours and retails between €25 and €29.95 which I find to be great value for a light-weight, compact and most importantly safe baby bath. Want to win one? Enter my competition HERE. I received this product for free but all opinions and words are completely my own. The most common problems that every new mother is facing that is baby bath. It's like a war, new mothers are struggling with their baby bath problems; here also we have found that how to do a baby bath with proper care and complete actions and what kind of products should we used for baby bath. Thanks for providing such wonderful tips.